A couple weeks ago, we covered how Google has a new app indexing ranking factor that will boost your app content if you use the new Google App Indexing API. I also mentioned then that the new iOS documentation is out. 9 days later, Google posted this news on the Google+ developer page saying that if you implement it, you should start to see your iOS app content in the Google index by the end of this month. 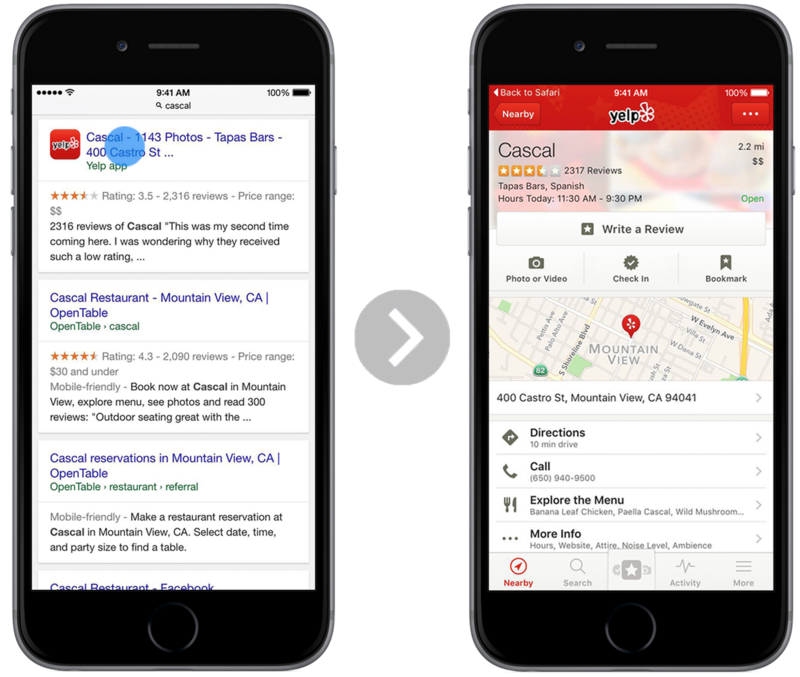 Google said "App Indexing is now compatible with HTTP deep link standards for iOS 9, as it has been on Android from the beginning." First you need to add Universal Links to your iOS app, then integrate it with the new Google SDK. Google has discontinued support of their iOS 7 and iOS 8 methods. Google added that your content in your apps can be seen on iOS devices in search as early as this month. Google wrote, "users will start seeing your app content in Safari on iOS at the end of October." You can learn more at http://g.co/AppIndexing. And as I said, I am working on making a very feature rich app for this site, with all the Android and iOS app indexing/deep linking/universal search integration to test it and let you know the results.